The story is pure genius- I mean come on, who knew our feelings could FEEL? It's totally unheard of and awesome! It has a happy ending- I guess being a fan of happy endings is cliche and all that, but honestly, if a movie ends on a happy note, I feel more positive and excited. If, on the other hand, the ending is depressing or a downer, well it's a mood-killer! It sorta makes sense- I mean we aren't just talking about animals that can mysteriously talk or toys that can move. 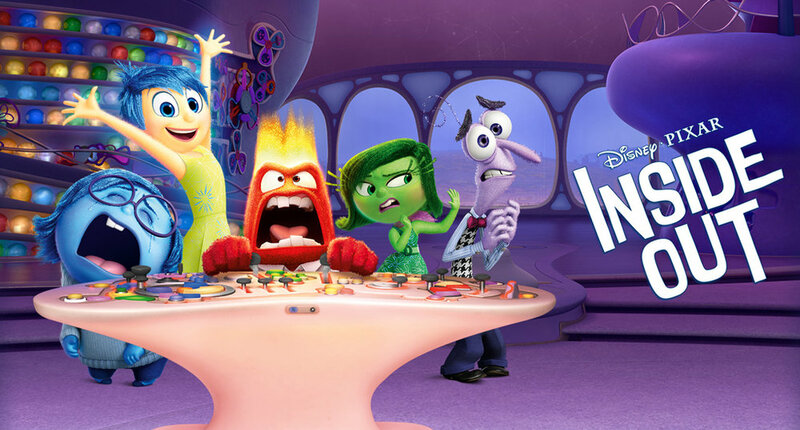 The happenings of Inside Out could actually be happening in our minds. Remove the animated character of the plot, and you could have yourself the holy grail of modern psychology. It's a movie every single person can watch- Alright so in the theater I was in, about 50% of the audience were small children, but I'm not going to be ashamed. The story is so well crafted, and appeals to people with emotions, aka everyone!